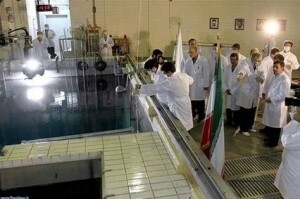 Iran announced that arrests have been made in the murder of two nuclear scientists. Officials claim that the suspects in custody have ties to Israel and have been relocated to a detention facility for questioning. The arrests were made following an 18 month investigation involving heavy intelligence and surveillance work abroad. So far, no further information has been released regarding the number of suspects or their identities. According to the Iranian intelligence ministry, the suspects are being held for the murder of Majid Shahriari, who was a member of Iran’s Atomic Energy Organization. He was killed in November of 2010. The following January, the director of Natanz nuclear facility, Mostafa Ahmadi Roshan, was also assassinated along with his bodyguard. Both men were killed in the same manner. An assailant on a motorbike placed a bomb on their moving vehicles during Tehran’s rush hour traffic. The murders reportedly caused widespread panic among other scientists and hindered the progress of the nuclear enrichment program. Initially, Iran pointed the finger at the U.S., whom they also blamed for the killings of two other scientists. So far, Israel has not come forward with any public statements to confirm or deny any involvement. Just a month prior, Iran convicted and hanged a man it accused of being a spy for the Mossad. The man was Iranian citizen Masoud Ali Mohammadi, and he was also the prime suspect in the murder of a nuclear scientist, who was killed from a bomb blast outside his home back in early 2010. Since then, Iran has sporadically made announcements about the arrests of people suspected as spies for the U.S. and Israel but has not provided evidence or released further details about the case. Iran has also fervently blamed the two countries for attempting to wreck its nuclear program by sabotaging its computers with malicious malware.